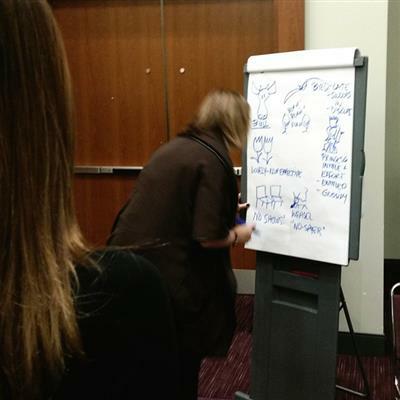 Day 2 at #afpcongress - The Emerging Fundraising Leadership Challenge with @tonyelischer . Learning all about stewardship with @SiobhanAspinall #afpcongress ! #afpcongress Why do fundraising staff leave jobs/profession so soon? Sadness over bureaucratic charities. Anger about being blocked. Thanks to those who attended my #afpcongressmobile session yesterday at #afpcongress . Missed it? I'm doing an encore today at 4:45! Glad to see Gail Perry @GailPerrync is at #AFPCongress . Come by, 'yall!